Virginia Ruth McCurry, age 86, of Somerset left this earth on Wednesday, April 11, 2018 surrounded by her loved ones. Ruth was a dearly loved mother, sister, wife, grandmother and great-grandmother. Her warmth, love and infectious smile will be greatly missed. Ruth was born on December 29, 1931 in Conley Bottom, of Wayne County, Kentucky, daughter of the late Joe Conley and Nell Grayer Conley. She was a member of the 1951 first graduating class of Pulaski County High School. Ruth was a bookkeeper at the Southern Belle company for over 20 years of dedicated service. She married the love of her life; Harold McCurry on June 18, 1955. 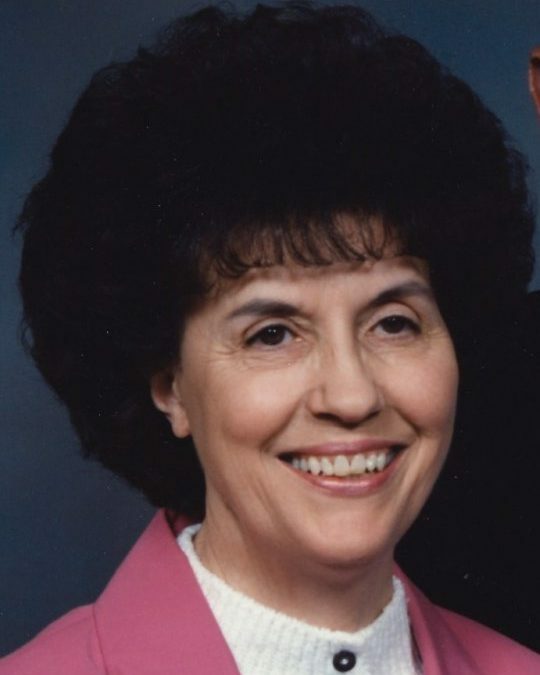 Ruth was a business and professional woman as evident in her co-ownership of three businesses in Pulaski County; McCurry Tractors, B & M Sanitation and Pulaski County Landfill. In her leisure she enjoyed working crossword puzzles and spending time with her family. She was of the Baptist Faith and a member of Duke Memorial Baptist Church. Besides her parents she is preceded in death by her Husband, a son; Ronnie McCurry, granddaughter Tiffany Neal, two sisters; Anita Henderson and Joyce Alexander and a brother; Charles Conley. She leaves behind to cherish her memory, her daughter; Lisa (Willis Grayling) Neal of Somerset, son; Donnie (Leslie) McCurry of Montana, sisters; Barbara (Bob) Ping of Somerset and Pat (Tony) Rice of Ohio, six grandchildren; Andrea (Dhwanil) Malji, Britany Neal, Stefany Neal, Steven (Aletheia) McCurry, Kate (Jake) Corcoran and Kara (Jon) Kellogg, great-grandchildren; Xavier Malji, Zahra Ruth Malji, Kodi Corcoran, Danick Corcoran and Connor McCurry and a host of other relatives and friends. Visitation will be from 1:00 p.m. until 3:00 p.m.on Sunday, April 15, 2018 in the Chapel of Southern Oaks Funeral Home. Funeral Services will be at 3:00 p.m. in the Funeral Home Chapel with Bro. David Morris and Bro. Randy Smith officiating. Interment will be at 1:00 p.m. on Monday, April 16, 2018 in the Lakeside Memorial Gardens in Nancy, Kentucky. Southern Oaks Funeral Home is entrusted with the arrangements for Mrs. Virginia Ruth McCurry.